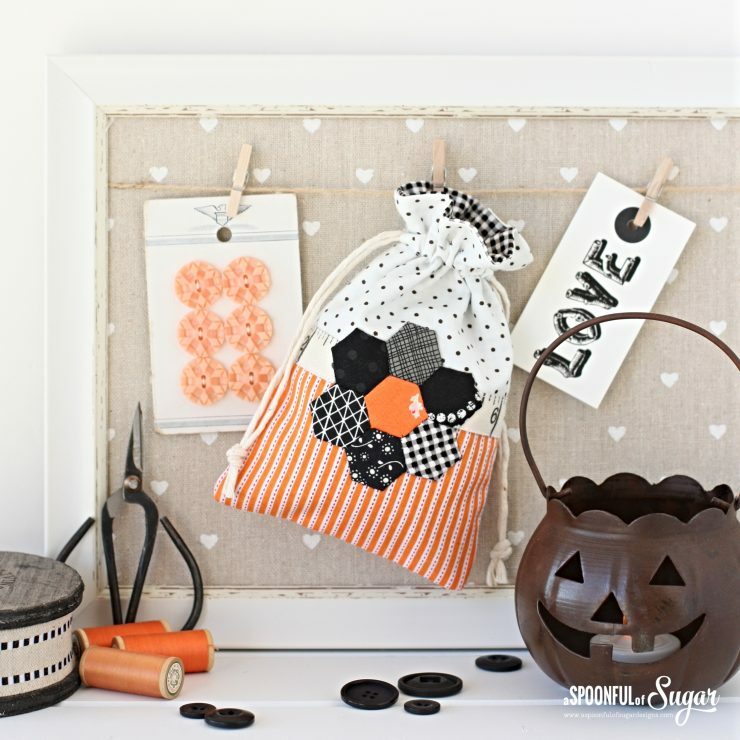 The Halloween Drawstring Bag is the perfect size to hold an assortment of Halloween treats such as chocolates, lollies, or candy. They are easily constructed using our free Retro Drawstring Bag sewing tutorial. It is fun to customise the bag so they are suitable for the occasion. For this Halloween Drawstring Bag, I have used orange and black fabrics to fit with the seasonal colours. To decorate the front of the bag, I have added a small hexagon flower. 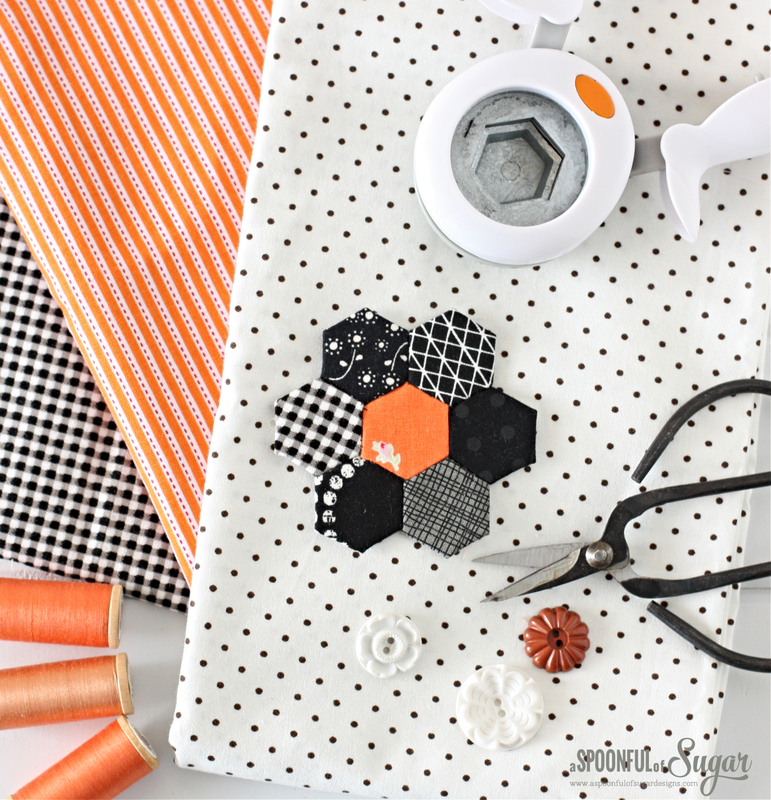 I used a Fiskars Medium hexagon punch to prepare the papers for the hexie flower. The flower was made from assorted black and orange fabrics from my stash. It made me realise I have a limited supply of orange fabrics – clearly I will need to rectify this!. The black and white fabrics with a pop of orange is very effective. 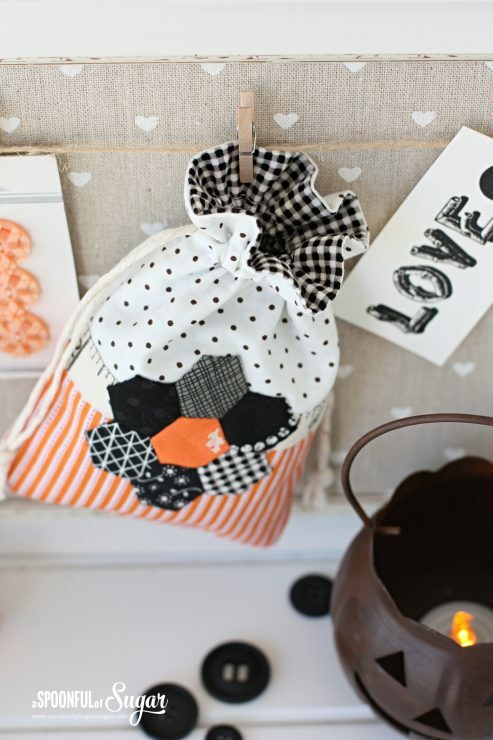 The drawstring bag is lined with a black and white gingham, and natural twine was used for the drawstring. 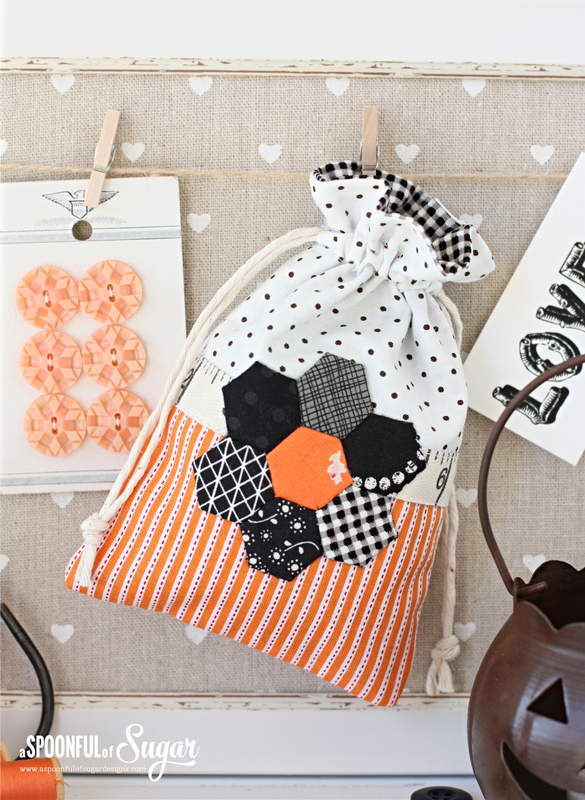 These retro drawstring bags are so much fun to make. 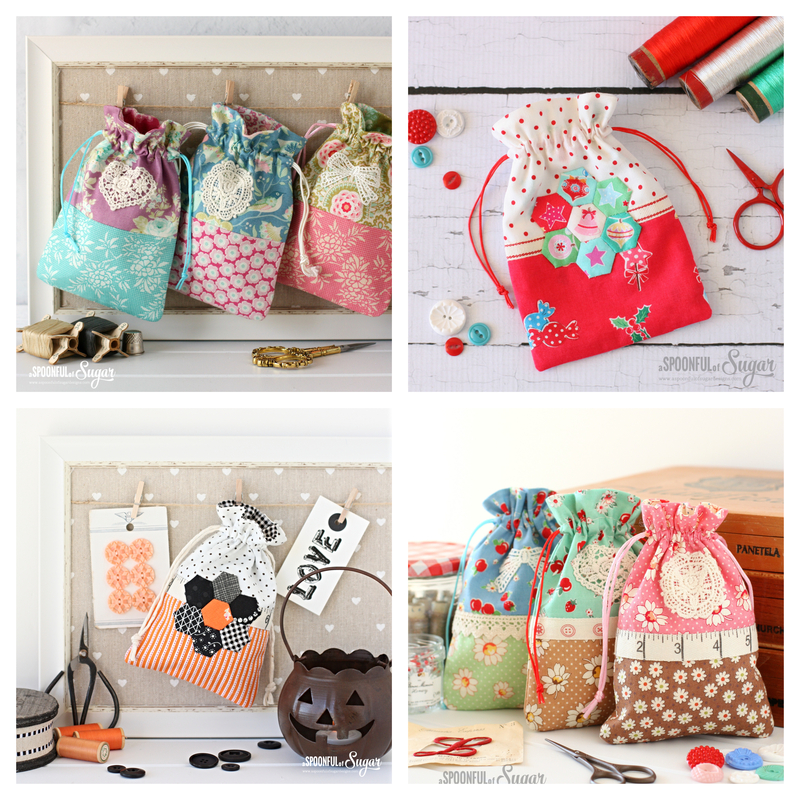 Check out the below image to see the various drawstring bags I have sewn over the past year. Head over Retro Drawstring Bag post to get the full instructions so you can easily sew your own drawstring bags. They are fun to decorate with ribbon, trim, hexies, lace and more!